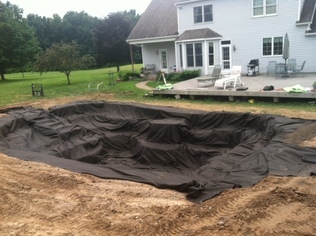 Need A New Pond Liner? 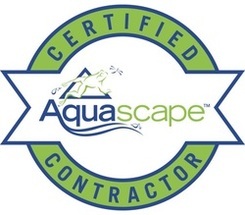 Proper installation of the pond liner & underlayment is crucial during the construction of fish ponds in Western (NY) if you would like your new water garden to hold water. 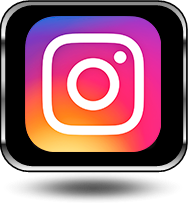 There are various types of pond liners used by homeowners and pond contractors alike for different styles of water gardens. Lets go over two of them. 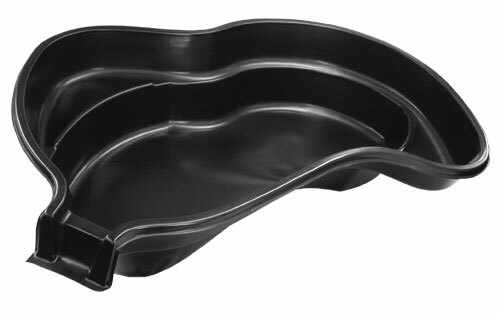 Rigid liner which is a plastic material used for tub pond or pre-formed pond installations. These come in various forms and shapes and are similar to children's wading pools. This type of pond liner is more generally used by the DIY homeowner who would like to give water gardening a try. 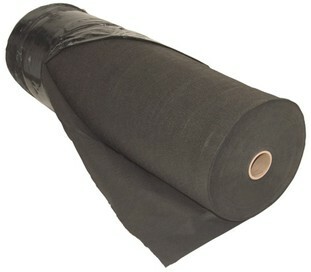 EPDM fish safe rubber liners which are used in small fish ponds up to large farm ponds or retention pond installations. This is the type of pond liner we use at Acorn Ponds & Waterfalls, for the installation of any desired shape of water garden. 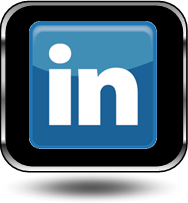 The EPDM rubber liner has a high lifespan and can last 20 years. 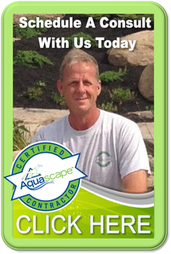 They can be custom cut and we completely cover them with rocks and boulders for a natural looking low maintenance garden pond. 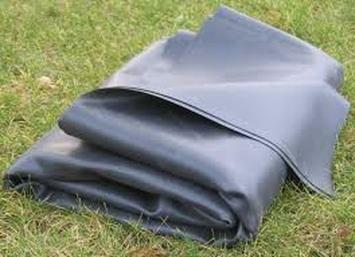 Plastic tub pond liner installation tips for the DIY homeowners. 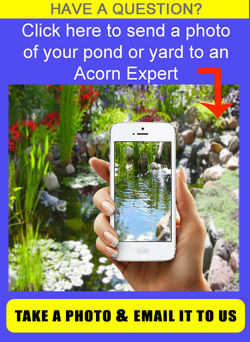 Streams, waterfalls, filtration & lighting can be added for extra effects and lower maintenance either during or after pond construction. Place the hard shell tub liner upside down and mark the entire edge. Dig down to 2" deeper than desired depth, level off and place two inches of sand in the hole. Place hard shell tub liner in the hole and backfill with sand on all sides. Add pond plants & Fish. Hard Shell Plastic tub pond. 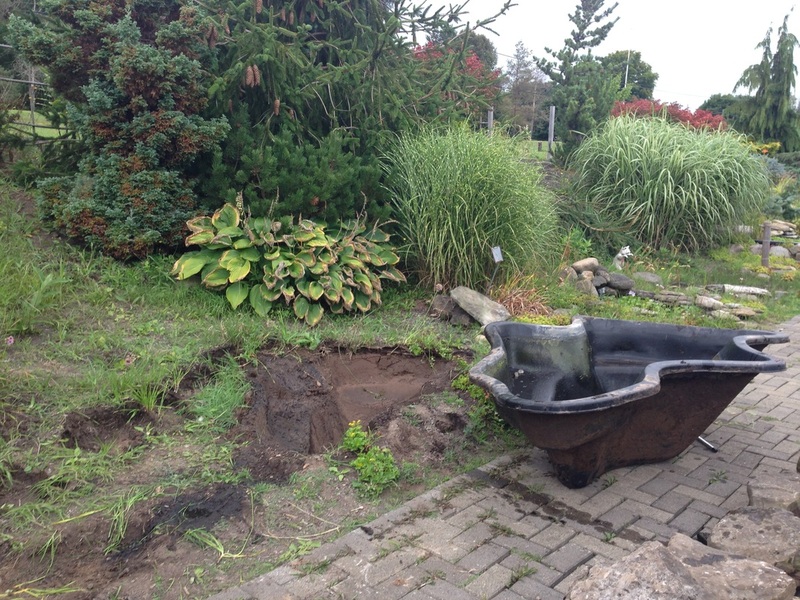 Note: we are replacing this pond with a fish safe EPDM pond liner. The EPDM fish safe rubber liner is the liner of choice for Acorn Ponds & Waterfalls and here are a few tips for it's installation. 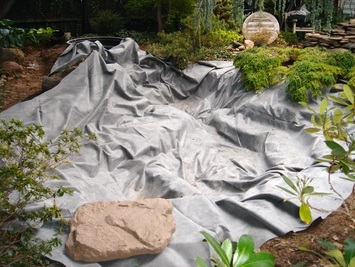 Install landscape fabric under the pond liner. After the excavation is completed we place a thick landscape fabric in the excavated area to protect your pond liner from any protruding roots and stones. The EPDM fish safe liner is then installed over the fabric. We Lay the liner down flat and remove as many folds as possible. The best place to start is at the bottom and we work the liner into all the shelves, plant pockets and contours of the pond. It is important to check the top edge to make sure there is enough liner to fit the pond. 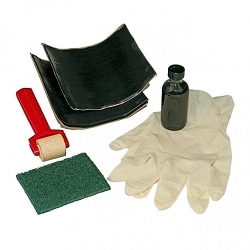 Install EPDM pond liner and remove folds. Locate hole in the pond liner. Clean surface with a clean towel. 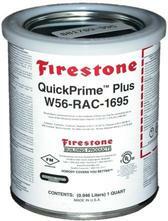 Evenly & generously apply a pond liner primer. Attach liner patch or seam tape to designated area. Call Acorn Ponds & Waterfalls 585-442-6373 And Schedule Today!